For Humility , relying only on one card against creazture based decks is not a good idea. 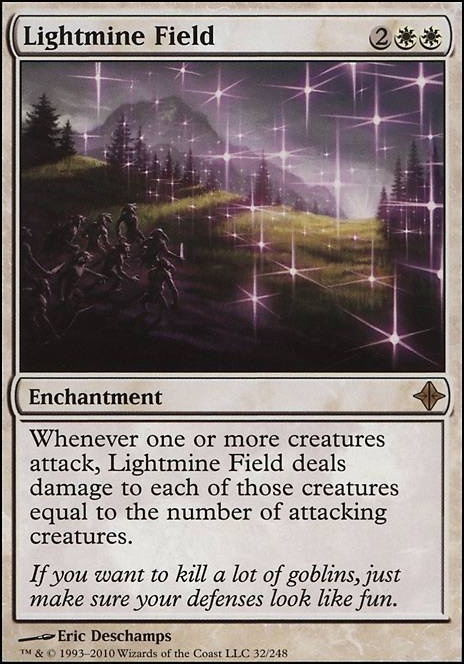 Humility and Zombie Infestation can easily broken with Lightmine Field . Instead of Land Tax I play in sideboard Weathered Wayfarer and Elixir of Immortality if opponent has land destruction deck. 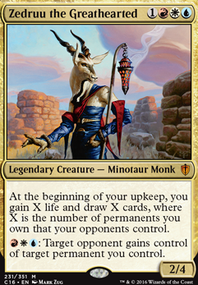 and Ghost Quarter ing my own lands let me search for basics against Blood Moon decks. I LOVE the enrage mechanic and I have been idly sitting on a goldmine of cards that abuse it. 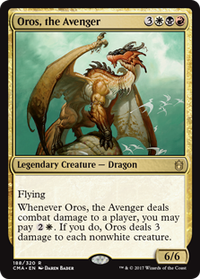 AEther Flash is a pet card of mine and acts like a second Pyrohemia. 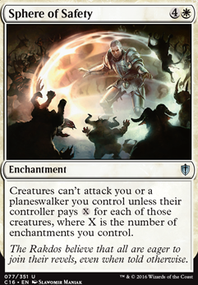 The only problem with it is it doesn't work well with Polyraptor as it creates an infinite non-optional loop that if you or another player are unable to stop leads to a draw according to MTG rule 421.4. Thankfully Gishath doesn't force you to put all Dinos revealed into play so only a Lurking Predators like effect would cause something like this. 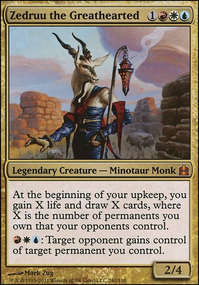 Lightmine Field is another enchantment that works like pillowfort card preventing players from swinging out with creatures and is yet another enrage triggering ability.Iroas, God of Victory combos quite well with this making your creatures immune the damage as well as granting menace.